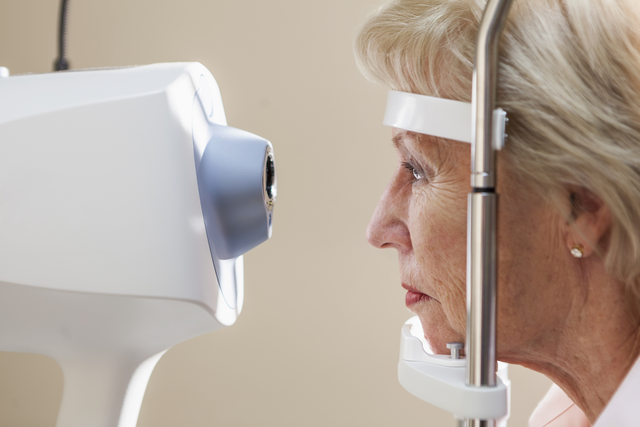 The best way to prevent loss from glaucoma is through early detection and treatment. Glaucoma is most-often a painless disease that is difficult to detect, so we include testing for glaucoma during every comprehensive eye examination. The cause of Glaucoma is complex, but is most easily described as an increase of the internal ocular fluid pressure. Our eyes are filled with fluid, creating ocular fluid pressure. Glaucoma occurs when the eye is not capable of withstanding the fluid pressure in the eye. When damage occurs, it affects the weakest part of the eye, which is where the optic nerve connects to the eye. Over time, this increased ocular pressure will damage the optic nerve, and, more specifically, the part of the nerve that is responsible for peripheral vision. While Glaucoma itself cannot be prevented, with early intervention the loss of peripheral vision from Glaucoma can be avoided. Treatment of Glaucoma is simple and painless. Most of our patients diagnosed with glaucoma are treated with topical medications to lower ocular pressure. Early diagnosis and treatment is the key factor to preventing damage.